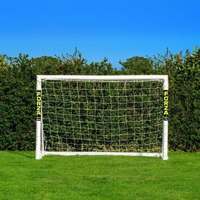 Manufactured from heavy-duty yet lightweight PVC, the soccer and rugby goal posts have been designed with extended side uprights which make it perfect for multi-sport use. 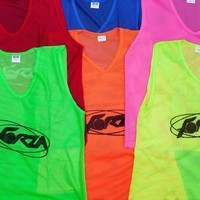 Whether you’re playing GAA, Football or Rugby, this is the ultimate goal. 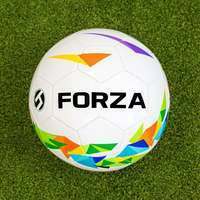 Designed with the flagship essential locking system which keeps all of our FORZA soccer goals secure during use, this multi-sport goal can be assembled in a matter of minutes. 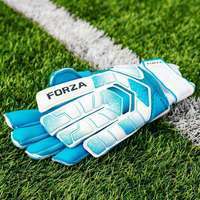 The goal posts lock together, promoting increased levels of security and stability. 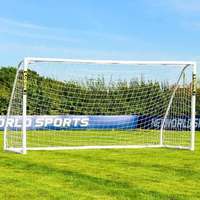 For top performance when used as a soccer or GAA goal, a 2mm UV stabilized HDPE soccer goal net is included for year-round games. 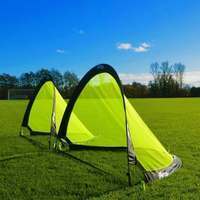 Lining up alongside the included soccer net are strong net clips for attachment and ground anchor u-pegs. 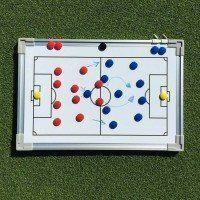 Give youngsters the gift of sport with the 8 x 5 combination rugby and soccer goal posts. 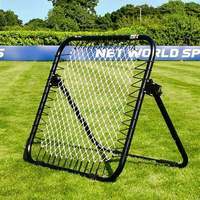 Perfectly sized for use by juniors, the PVC multi-sport goal brings both soccer and rugby to the backyard, with a freestanding design which allows the self-weighted sports goal to be used on any playing surface. 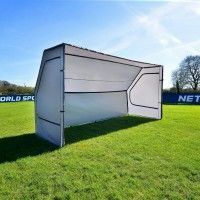 Manufactured from high tensile shatterproof uPVC, the durable combi goal is both light in weight and strong, with the capability of being used for multiple years without any fear of incurring damage. 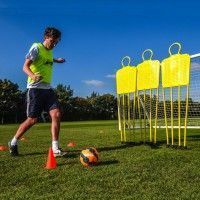 Designed to transform the PVC soccer goal into a set of rugby goal posts, the extended side uprights are ideal for working on penalties and drop goals. 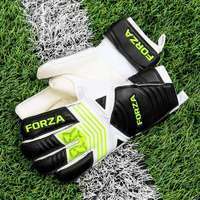 Featuring the innovative essential locking system, which is a hallmark of the FORZA locking soccer goal range, the goal frame locks securely into position, resulting in a quick assembly process as well as increased levels of stability when struck by the ball during use. 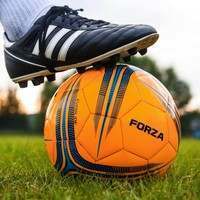 The kids soccer and rugby goal can be used throughout the year thanks to its fully weatherproof design, allowing it to be left fully assembled outdoors without falling foul to rust or corrosion. 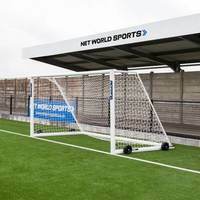 Due to the extended side uprights, the combination sports goal isn’t restricted to soccer and rugby, boasting the capacity for back garden Gaelic Football, Hurling and Football use, making this is the ultimate goal for juniors who like to play a wide variety of sports. 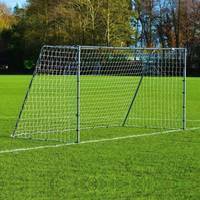 Rounding off the 8ft x 5ft soccer and rugby goal is a premium quality soccer net. 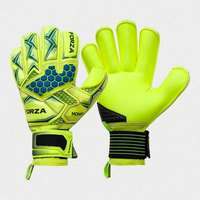 Made from 2mm HDPE, the net features 120mm mesh which is heavy-duty for regular use. 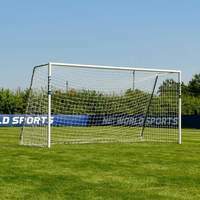 The net has been UV stabilized, allowing for soccer and rugby games outdoors throughout the year without the net rotting or becoming frayed. 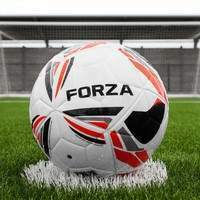 For consistency and professional levels of performance, this combination soccer and rugby goal cannot be beaten. 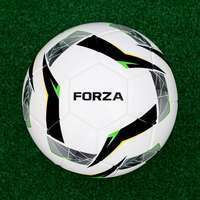 If you wish to add a bag to you FORZA Goal Posts, PLEASE SEE THE ESSENTIALS ABOVE.